The title "Bloodroot" has several meanings. The plant is a member of the poppy family. It is native to the Southern Appalachian mountains although it can be found along the higher elevations of the Appalachian mountains from Alabama to Canada. It blooms in the early Spring. The blossom of many petals is white. 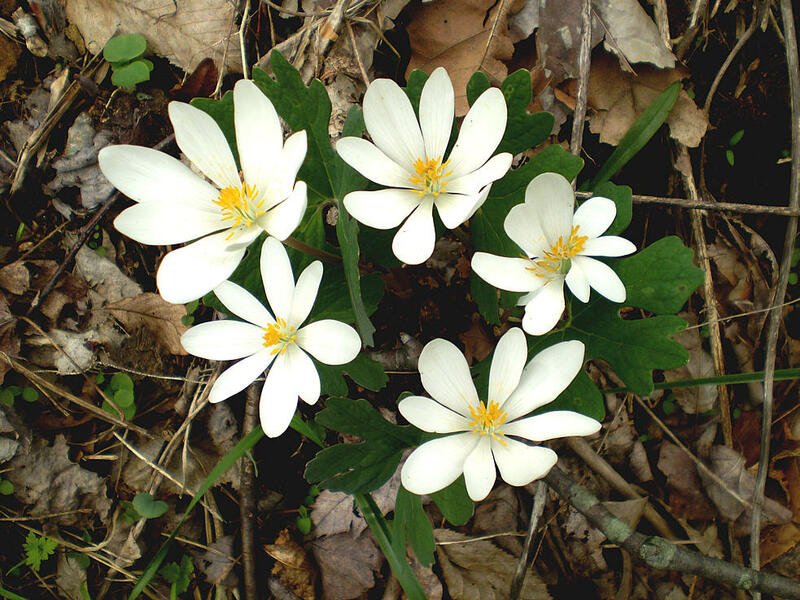 The Indians of the Appalachians and early pioneers into these mountains had several uses for bloodroot. The root of the plant oozes a rusty-orange colored juice the Indians used to color baskets, cloth and war paint. Pioneers used the juice and dry powdered root for medical purposes. One use was as an emetic; it caused vomiting. In my story, my hero Billy Jack Truehill, uses the juice of the bloodroot to cause him to vomit again and again. He does it to get out of the Confederate Army. The Army doctor cannot stop him from vomiting a red colored bile. So he receives a medical discharge from the army. The term "blood root" is a reference to ancestry; the blood line of a person and the person's family. Billy Jack is the American blood root of his family.